Back in October, I posted all the patterns for making this adorable outfit. In addition to the Project MC2 dolls, it also fits Spin Master Liv Dolls. I’m guessing it would fit other dolls of similar sizes as well. 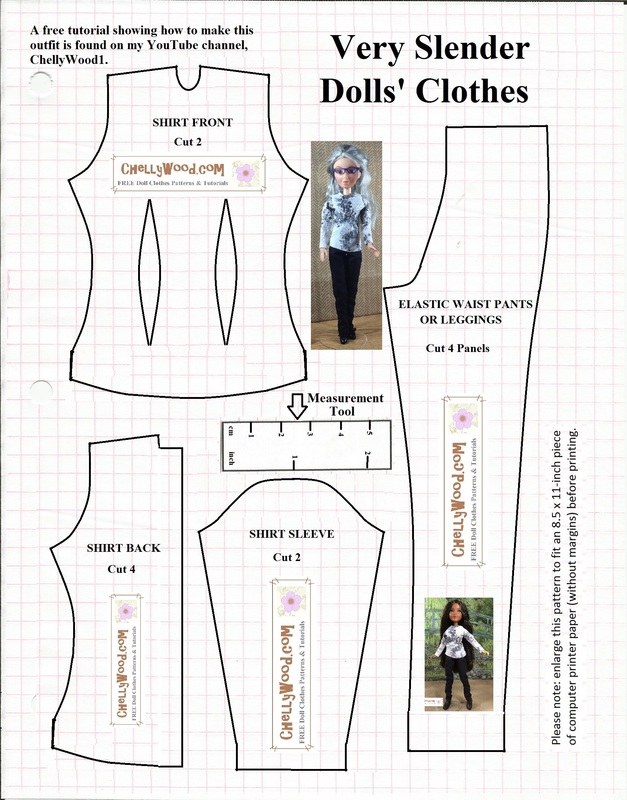 The doll shown in the image above is a Bryden Bandweth doll from Project MC2. Mine is articulated, but it’s harder to find them articulated in stores these days. Therefore, the link I provided you with above is to eBay, where you can still find this beautiful doll NIB, with full articulation. If you’re wondering why I make patterns and videos without charging a fee, please visit the “Chelly’s Books” page, and that should explain my general motivations. It’s always friendly and kind to show your appreciation for my free patterns by liking them on Facebook, pinning them on Pinterest (yes, you have my permission), and/or tweeting about them. Please visit those links for easy access to my patterns, tutorials, and blog posts. Chelly, could you stand a yardstick next to the dolls so that I can gauge their size in comparison to my dolls?